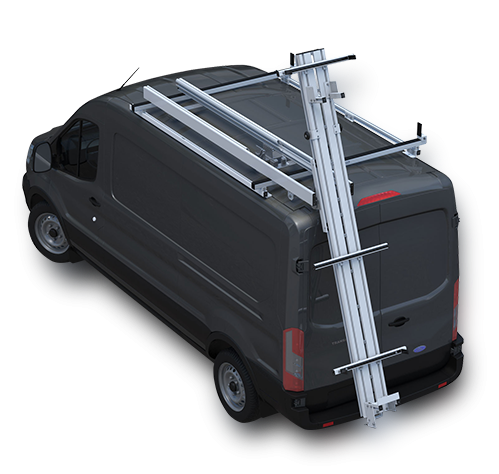 NEW DeployProTM Prime design Ladder Rack is the industry’s only ergonomic, rear deploying solution for ladders on low, medium and high roof vans. 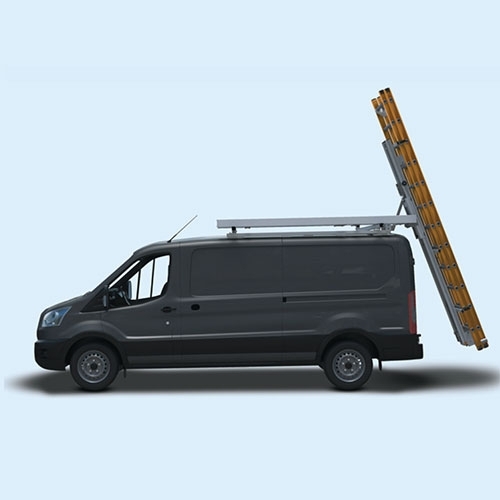 The DeployProTM design allows the user to safely stow and deploy ladders from behind the vehicle, shielded from potential road hazards or traffic. The system’s integrated hydraulic cylinder provides a controlled ladder deploy and gas-assisted lift for stowing ladders up to 75 pounds. All aluminum construction with stainless steel hardware provide increased durability and years of service. Adjustable ladder support bars assure a good fit for various ladder sizes. 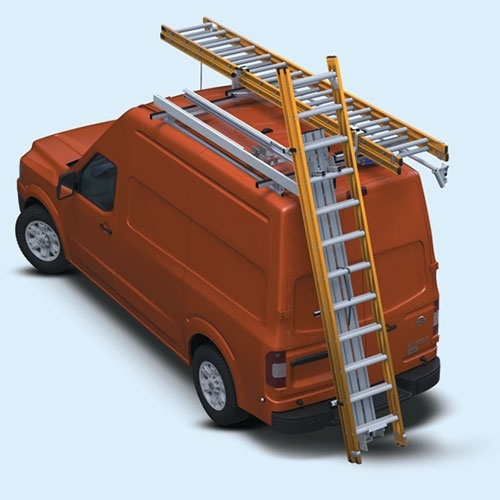 Complete DeployProTM prime design ladder racks are available for Ford Transit Low, Medium and High roof, RAM ProMaster, Mercedes Sprinter, Nissan NV, and Chevy/GMC Standard roof Vans. If you already have a Prime Design ladder rack, the DeployProTM upgrade comes completely assembled and can easily be added to the driver or passenger side of your rack. DeployProTM mounting on other base racks is also possible with customer supplied hardware required. If you already have a Prime Design ladder rack, the DeployProTM upgrade comes completely assembled and can easily be added to the driver or passenger side of your rack, where you currently do not have an upgrade. DeployProTM mounting on other base racks is also possible with customer supplied hardware required.